Ask fellow campers about "Country View Campground" and nearby attractions. Question: Can anyone recommend a level site to request with full hook-up? We have a 31' fifth wheel. Thanks! Answer: Most of the sights were level. We had a full hookup site but the campground only has 30 amp so we will probably not stay there in the heat of summer - nice pool and play ground by the office - seemed that almost all of the full hookup sites were taken by snow birds spending there summer in the north - they was quite a parade of states on the license plates. We camped at Country View Campground in a Motorhome. Our site was very short, not a full hook up that we needed and had a sidewise slope taking 3 inches to level. Very noise the weekend were were there with a zillion Harleys (HarleyFest 2018). We camped at Country View Campground in a Travel Trailer. The staff is very friendly and helpful. Everything is very clean and well maintained. The pool looks nice although I didn't use it this time. This is a great campground for relaxing. They also have a a few animals that are fun to pet and feed. They can also fill your propane tank which saved us a trip into town. We camped at Country View Campground in a Fifth Wheel. J. Lauber's Ice Cream Parlor in East Troy is a blast from the past. Also you have to stop at Elegant Farmer and pick up an apple pie cooked in the bag. All their fruit pies are delicious but the one in the bag is unique and the best crust I have ever eaten. The staff were very friendly. They come around and pick up your trash everyday. The local Sheriff patrols the campground on a regular basis - not because there is trouble but just to check to make sure everyone is okay. The pool looked nice, although we did not use it. The laundry was very reasonable and clean. We would recommend staying there if you are in the area. We camped at Country View Campground in a Travel Trailer. Very close to Milwaukee....about 30 minutes away. Also close to Racine. Make sure to visit the Pabst Museum and take advantage of the local breweries in Milwaukee. We really like Lakefront Brewery. We have stay here for many years and never had an issue, they enforce the quiet hour so if you are at your campfire keep your voice down. We have stayed so much that we tend to call the site(s) we stay on "our" site! They have kept the prices reasonable. They have a nice pool, restrooms, the roads are gravel and easy to take a walk. Their is a working farm next to them so you will hear a cow mooing every now and then! The owners are very nice and remember us year after year! We camped at Country View Campground in a Travel Trailer. Small site. Just Enough room got a pop up and screen tent which gave us 3 feet from fire pit. Rotting picnic table. Quiet time not monitored even when a complaint made to rude management. Don't waste your time calling. NOT WORTH THE TIME!!!! We camped at Country View Campground in a Tent Trailer. We stayed at the campground for two nights. The sites are very close together and not very level. We were visiting friends and only used the campground for sleeping. It has a very nice pool. Bathrooms and showers were clean and the staff was friendly. We camped at Country View Campground in a Fifth Wheel. Campground is pretty close to Milwaukee. We visited the Harley Museum and shopped at Penzey Spices outlet store. Beautiful setting and super helpful and friendly staff. The sites were fairly close together, but we expected that, so it wasn't a surprise. The sewer hook up was on the opposite side from electric and water, but our cords/hoses just fit with a little adjustment to where we were parked at the site. If you are looking for a secluded/in the woods experience, you will be disappointed, but as a clean fun base of operations to explore the area, it was great. We camped at Country View Campground in a Travel Trailer. Make sure you visit the Elegant Farmer for some Apple pie. The Fork In The Road restaurant was excellent. Country View staff accommodated our lengthy stay of 3 weeks with kids to allow us to visit friends for the summer. Very safe, and staff always checks in on things. Helpful to coordinate our location for our camper as we booked late in the season and most campsites are booked in Waukesha county. Coordinated so we did not have to move around within the campground much and to provide areas more quiet from the weekend rush that comes in for concerts at Alpine. Professional, courteous and ground especially bathrooms kept nice and clean. Thank you Country View for the good old summer fun and great memories the kids made with friends hanging out at Country View! We camped at Country View Campground in a Truck Camper. Stayed here for 2 nights. Campground is built into a hill and all gravel. I camped in a motorhome, but brought my motorcycle in a trailer. Hills, gravel, and motorcycles are not a good mix. sites are close together, not very level and roads are not identified. Small campground, but still needed to make a couple of passes to find the correct site number. People are friendly. Campground could use some upgrades. Level sites, repair sewer ground connectors, and WI-FI would be a nice addition. We camped at Country View Campground in a Motorhome. Our stay was disappointing, based on the fire ban due to the summer weather. Campsite was very quiet, with not many people around during peak season. Bathrooms were clean with a nice swimming pool for the kids. Roads were gravel and the sites were not that level. Nice mix of tent and camper sites - we were able to get a two tent sites next to our trailer site. We camped at Country View Campground in a Tent. We enjoyed a two night stay here. It was hot, fire ban was on, and the sites were a bit close, but had a nice pool, petting zoo, play area, and game room. We stayed here due to proximity to Milwaukee and it is well positioned for that. Good overnight stay. Nice people. Sites were not very level, but easy to drive through. We would stay here again. We camped at Country View Campground in a Motorhome. While this was one of the few campgrounds close to Milwaukee, it was not in very good shape. The road to get from the paved county road to the park was terrible. Sites were tight and we were very fortunate to not have someone occupying the site directly across from us or we would have had a hard time getting out of our site. With that said, it is still worth staying at if you need a base from which to visit Milwaukee. It would not be my choice to go camping, but is workable at a place to park your unit and visit the area. We camped at Country View Campground in a Fifth Wheel. This park was very close to Milwaukee and very handy for us, however, it was difficult to get to due to the gravel road in. The road was full of huge holes and there were several unnecessary speed bumps as well. Since the road in was in such bad shape one could not "speed" into the park. There were few signs to show the way into the park but after two calls, we found it. The couple running this place were very friendly. The spaces were all on a hill and close together making it difficult to get in and out of the spaces. We would probably stay here again, but in a smaller rig. We camped at Country View Campground in a Fifth Wheel. 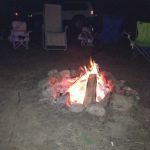 Are you affiliated with Country View Campground ?